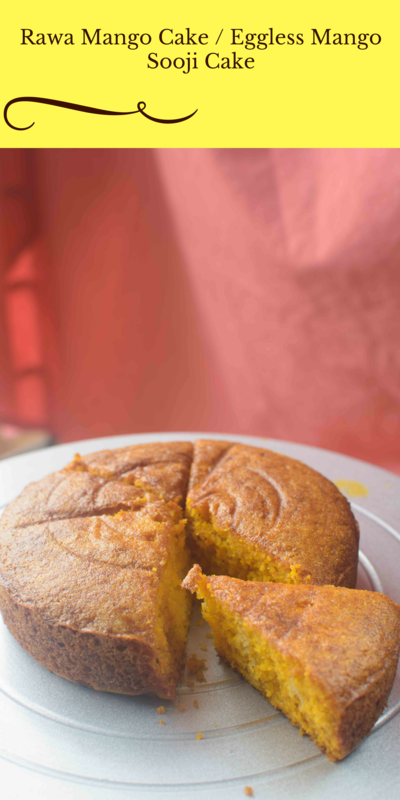 Rawa Mango Cake is one of the classic tea cake which can be made using either ready mango puree or using fresh mangoes in season. Baking is fun for me and it really makes my mood light whenever I am stressed out. Don’t know about you but I this is the therapy which somehow worked for me. I try my hands on different kinds of baking like cookies, breads, cakes and now Christmas is coming up I am all geared in the mood of baking cakes. From the day I learned how to bake cakes perfectly , we stopped buying them from stores. Also, trying out different flavors is another fun. 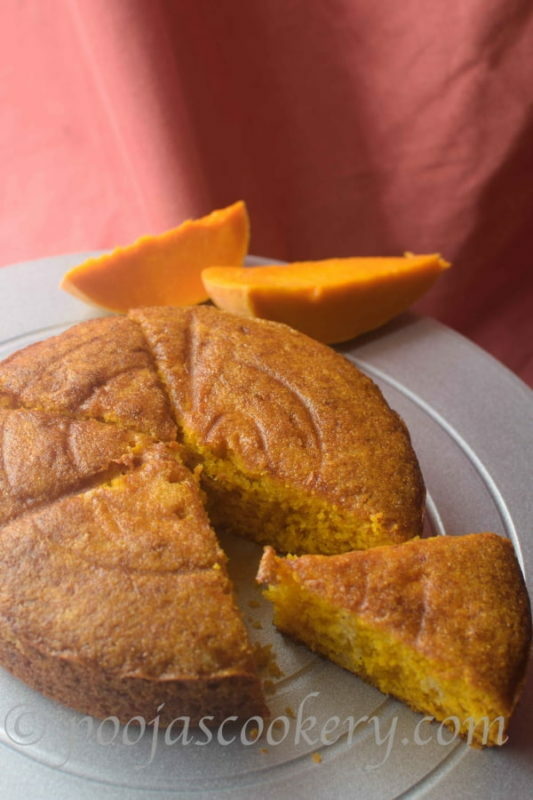 I am sure you must have baked Rawa (Semolina) cakes but with mango touch is something you must try especially in mango season when you get fresh mangoes. 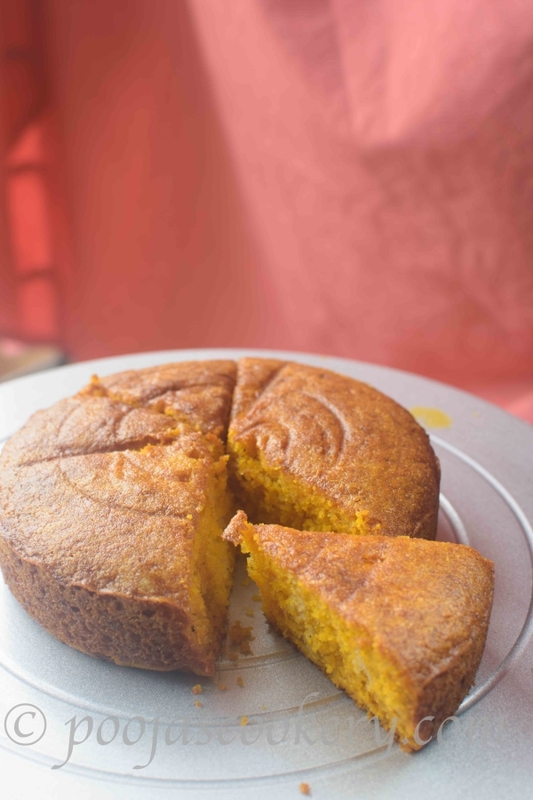 But even if in off season, Rawa Mango Cake can be made using readymade mango pulp. The ingredients required for this tea time cake is very limited and most of us have this in our pantry. Just that you need to make sure to use in the correct proportion I have given. One important tip I learned for making cakes is, never overbeat the mixture or else the cake sinks while baking. 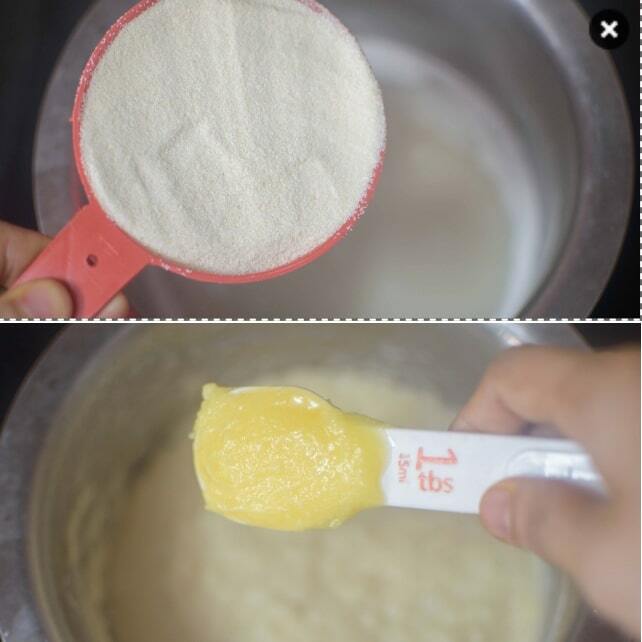 Always cut fold the batter with spatula instead of using beater once baking soda and baking powder is added. Grease an 8 inch baking pan with some oil . Dust with some dry all purpose flour and line up with parchment paper. 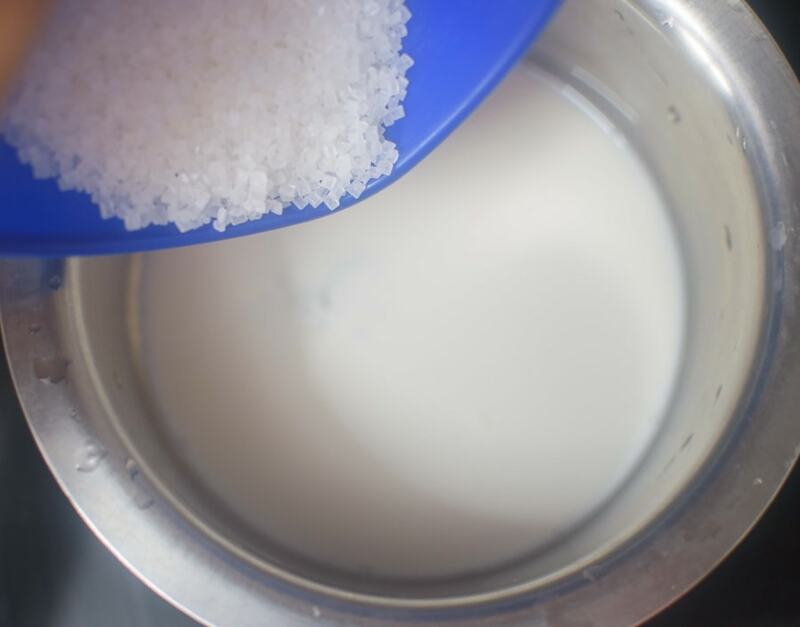 Take sugar and milk in a pan and boil till sugar dissolves. 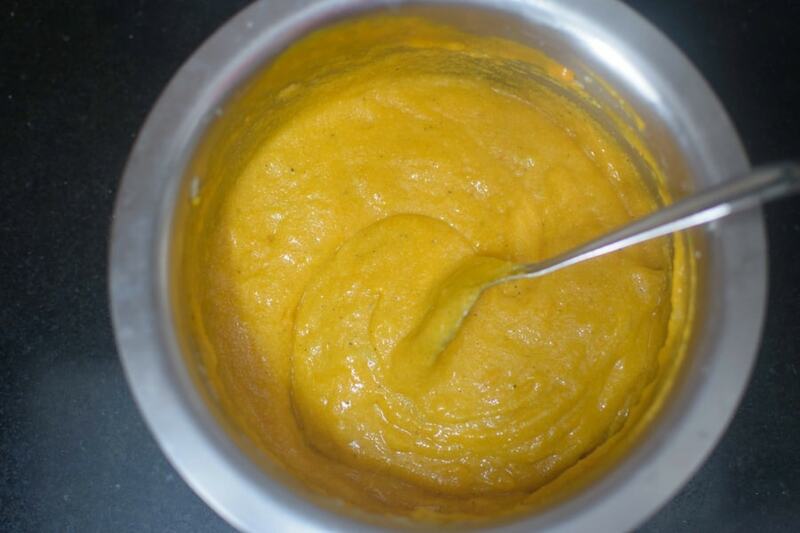 Add rawa, ghee and mix. Remove from heat and allow it to cool completely. 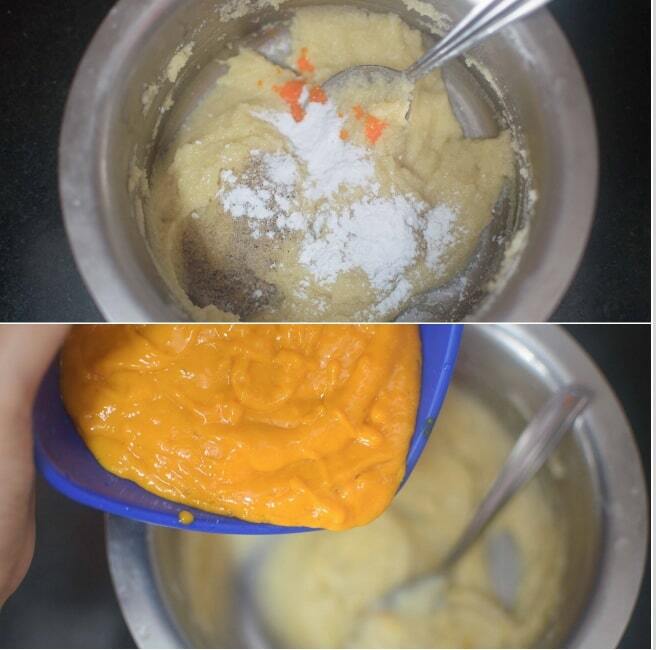 Once mixture is cooled add baking soda, baking powder, essence, cardamom and mango pulp. Cut and fold till everything is mixed up well. Pour in a greased pan lined with parchment paper. Bake at 180 degree celcius or 356 degree Farenheit preheated oven for 30-40 minutes. (Time varies depending upon the oven so please check with toothpick after 25 minutes). 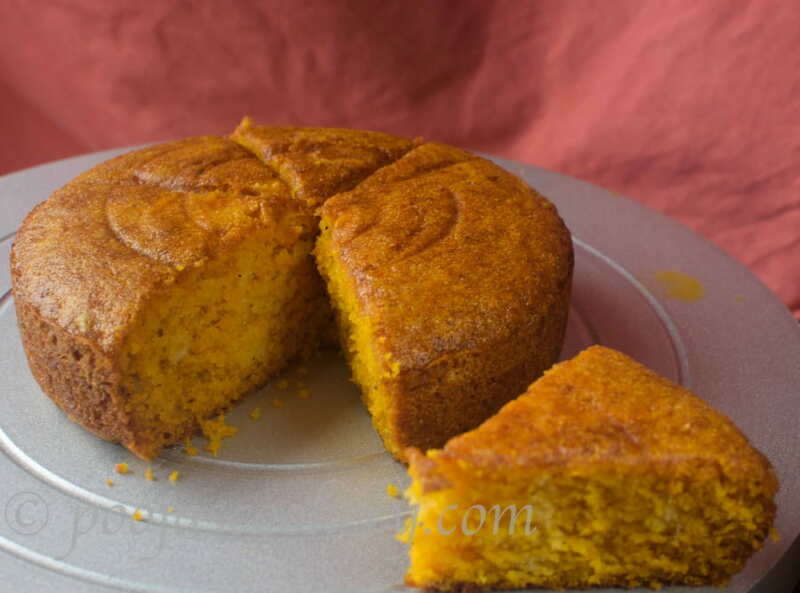 Check with toothpick if the cake is baked well by inserting it in the center of the cake. 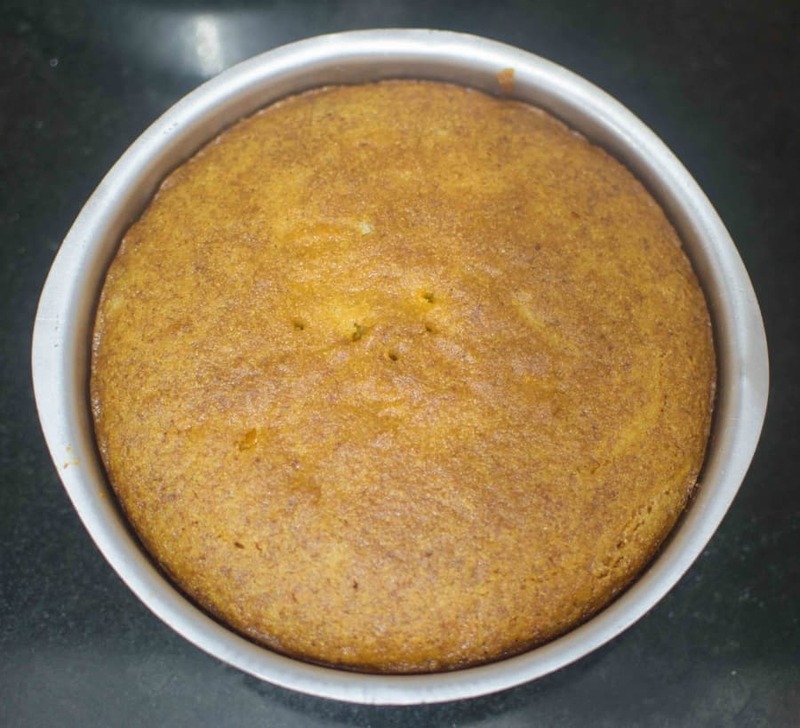 If toothpick comes out clean, the cake is baked. Remove it out. Keep on the cooling rack for 5 minutes and then flip . 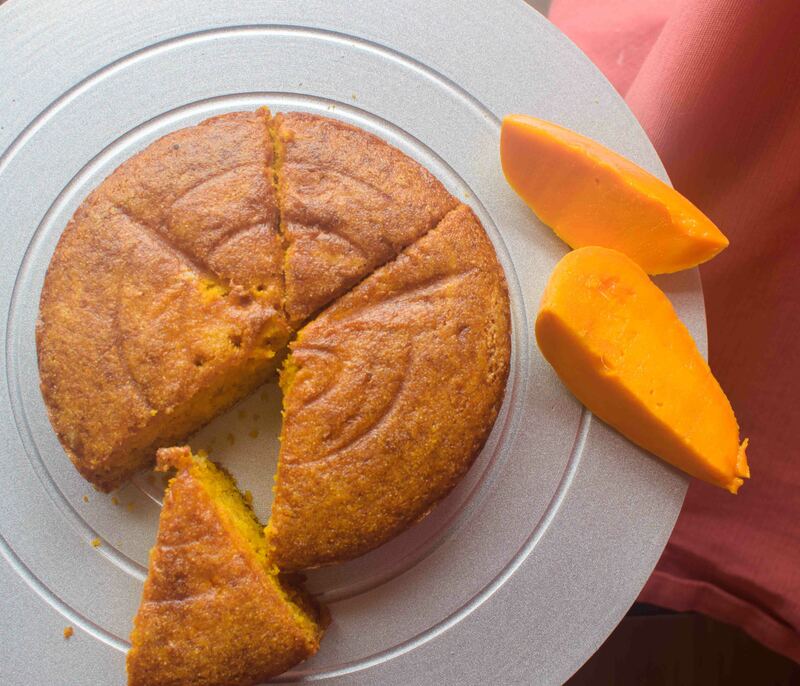 Once the cake is cooled down completely , cut it and serve. I love it. 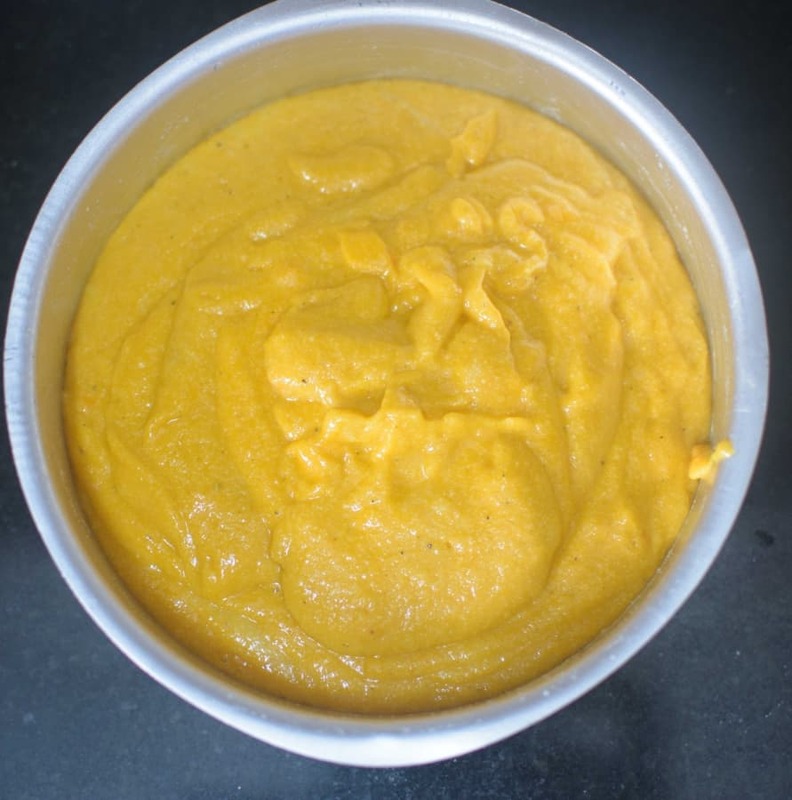 Thanks for sharing such a delicious recipe with us.